“With no lawyers to defend him, a man charged with first-degree murder in the stabbing and suffocation death of his 18-month-old daughter did not enter a plea at his arraignment on Wednesday. A lawyer said there are no funds available to provide the defense team needed for Mark Hambrick, who is accused of killing his toddler inside his Bywater home on Oct. 17. Prosecutors charged Hambrick with first-degree murder last week. The charge carries a potential death sentence, which means that Hambrick is entitled to a defense team of at least two attorneys and two investigators under court precedent. Yet the state Public Defender Board maintains that it does not have the money for a full team due to budget cuts. Instead it sent a single lawyer, Christopher Murell of the Capital Appeals Project, to represent Hambrick for the limited purpose of defending his constitutional rights. Murell said Hambrick’s is the ninth first-degree murder defendant across the state to be placed on a waiting list for representation. Assistant District Attorney Tiffany Tucker argued that the judge could enter a not guilty plea on Hambrick’s behalf. However, the judge declined to do so. Instead, Pittman set a March 1 hearing to determine counsel for Hambrick. She ordered a subpoena sent to Jay Dixon, the state’s chief public defender, to explain his office’s actions. It’s not clear when or how the arraignment for Hambrick — the first step once a defendant has been formally charged — will proceed. That could leave a high-profile case involving a grisly killing indefinitely delayed. Police said Hambrick repeatedly stabbed his daughter and then suffocated her when she did not die quickly enough. Hambrick was initially booked on second-degree murder and represented by the Orleans Public Defenders. Before he was charged last week, they argued that he is mentally incompetent to proceed to trial. The Orleans Public Defenders do not represent capital defendants, so they stopped representing Hambrick once he was charged with first-degree murder on Thursday. Hambrick’s arraignment was the second time in recent months that a first-degree murder case ground to a halt over state funding concerns. 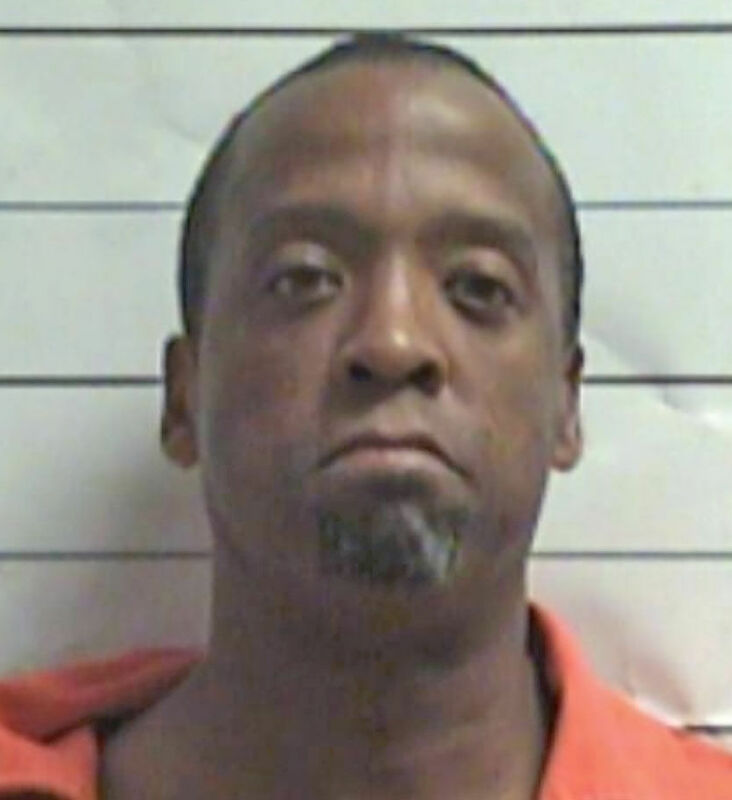 In November, an attorney for Darren Bridges, the man accused of killing New Orleans Police Department Officer Marcus McNeil, said there was no money for his representation. The attorney at the Capital Defense Project reversed course later in the month and Bridges entered a plea of not guilty. Dixon said in a November interview that budget cuts imposed by the state Legislature — which redirected money away from capital defendants and toward non-capital defendants — had left him with few options. “The man accused of stabbing and strangling his 18-month-old daughter last year, telling police afterward that God had ordered him to do it, was charged by a grand jury with first-degree murder Thursday, opening the way for a possible death sentence if he is convicted. Mark Hambrick, 46, was charged with both murder and second-degree cruelty to a juvenile in connection with the Oct. 17 death of his daughter Amina. Orleans Parish Criminal District Court Judge Keva Landrum-Johnson set his bail at $1.5 million. First-degree murder carries a punishment of either death or life imprisonment in Louisiana. District Attorney Leon Cannizzaro said he has not decided which penalty to seek. Family members of the slain girl expressed concern that seeking the death penalty would drag out the legal process. “Those of us who knew Mark before that horrific morning recognize that he is suffering from a profound mental health crisis,” the relatives said in a statement released through a spokesman. Michael Stone, the family spokesman, said the statement was approved by Amina’s mother, her grandmothers, her uncle and her great-aunts. Hambrick is accused of stabbing the girl and trying to let her bleed to death for hours before resorting to suffocation. The indictment averted a hearing scheduled for Thursday on Hambrick’s mental competency. Hambrick’s lawyer with the Orleans Public Defenders sought to have a judge declare him incapable of proceeding with the case for now. Attorney Barksdale Hortenstine said Hambrick has been held in a special unit at the Elayn Hunt Correctional Center for treatment of acute psychosis. The motion also hints that Hambrick wants to plead guilty. “Hambrick’s desired plea is determined exclusively by his delusions,” Hortenstine said. The killing in the 3100 block of North Rampart Street shocked neighbors and friends. Hambrick was an analyst for the New Orleans Sewerage & Water Board. The girl’s mother, Monika Gerhart-Hambrick, is the director of Baton Rouge’s Office of Community Development. Hambrick’s attorneys still can seek to have him declared incompetent to stand trial, but they must do so at a later time in Criminal District Court.